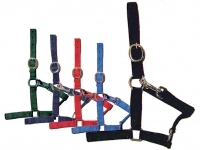 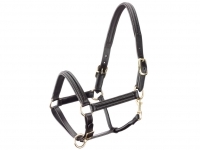 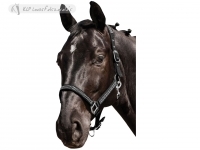 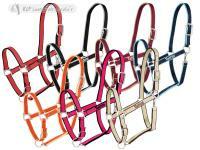 A fashionable dotty halter from Horse-friends. 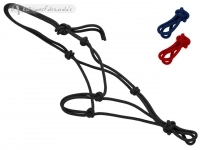 It is 2-way adjustable with silver-colored fittings and snap hooks. 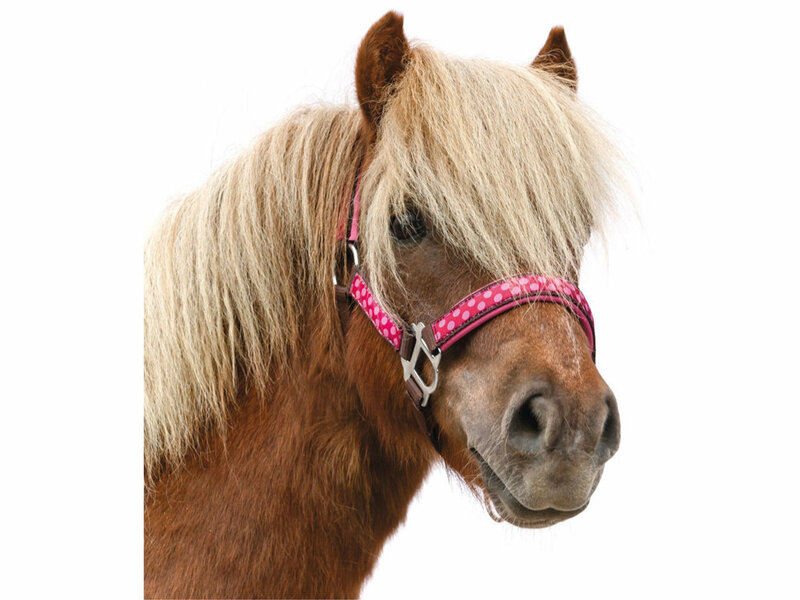 As a fashionable detail and for the best wearing comfort, the contrast-colored dot ribbon has Hippopren padding on the neck and nose.